One day I’ll write a book about the human gut, but I’m afraid that today we don’t know enough about our guts to make many recommendations past trying to eat and live right. There are several companies that offer gut testing services…I jumped on this a couple years ago when affordable gut flora testing was a brand-new thing. I was very impressed back then but over the years the promises failed to materialize. Today these companies are making millions of dollars testing gullible people’s poo. These services offer tailored dietary advice based on the bacteria they detect in your stool sample, but the advice they are giving is beyond disappointing. They’ll frame it around the questionnaire you filled out beforehand and try to convince you they are doing you a distinct, personalized service, but, by God, who shouldn’t be eating more high-fiber plants? I’d die laughing if I ever saw a report that said, “Lay off the fiber, man. Eat a cheeseburger!” Consider that probably 95% of the tests they run are done on people eating a Western diet; advice to eat some beans and broccoli probably is the best advice most people can get. Probiotics are living microorganisms that convey health upon anyone that eats them. They live happily in your gut and help create an environment that promotes good health. Gut health is of vital importance for long term weight stability. If the gut balance is upset, your weight will suffer. So, let’s all take probiotics, right? It’s easy to find probiotics that contain these two bacteria. Probably 90% of all the probiotics at Walgreens have them. But unless they have been carefully packaged and the dosage is correct, it’ll be a waste of your time to buy them. One commercially available brand that I highly recommend, in fact the only one I recommend, is Elixa™, available at www.elixa-probiotic.com. I recommend only taking probiotics if you have been prescribed antibiotics for an infection or if you need a boost after a bout of bad food choices. Antibiotics will do damage to the delicate balance in your gut and Elixa can quickly restore the balance, making recovery quicker. Otherwise it’s best to simply eat foods that naturally contain probiotics. Several of these food items are still quite unheard of in the US but gaining popularity. Kombucha, for instance, is starting to become a popular fixture at farmer’s markets and food festivals. Some of the foods listed, ie. pickles and sauerkraut, can be made in a way that destroys all of the probiotics, so be sure that you are only buying products that retain their probiotic properties. All naturally fermented vegetables contain high levels of Lactobacillus. It’s easy to make your own pickles, sauerkraut, kimchi, and other types of tasty fermentations. A great book to get you started on a journey of probiotic discovery is Basic Fermentation: A Do-It-Yourself Guide to Cultural Manipulation (DIY) Third Edition by Sandor Katz (2017). Start-up costs for making your own pickles and such can run from $20-$200 depending on batch size and fermentation methods. Warning: Growing your own probiotics is addictive! For the purpose of weight maintenance, you should be getting all of your prebiotics from real food. Prebiotics are special types of plant fiber that are eaten by the bacteria in your gut; when well-fed, these bacteria produce thousands of chemicals that signal wellness and keep the immune system humming along as it should. There is a well-proven and distinct connection between eating prebiotics and maintaining a lean weight. When taking supplements, it’s best to mix them in smoothies that contain several other real foods, ie. berries, seeds, or fruit. These supplements are also good to mix with yogurt or milk for best results. It starts to get confusing, discussing the gut. The gut is the center of our health universe, anything that upsets the balance of your gut is quite likely to keep you from becoming a successful weight loss achiever. Most eating styles will advise you to eat plenty of plants, with a “wink, wink” implied. This is because they all know that you probably don’t want to eat lots of veggies, but they also know if you don’t, you’ll end up with digestive issues. A person with a healthy gut can eat just about any way they like for a while, but it will eventually catch up with them. Nice article. It clarified and confirmed that all this can come from eating natural food without the need for supplements. Hi Tim, thanks for your articles, they really help me a lot. One question for you, why haven’t you included beans/pulses in your list of foods to eat regularly? Wow! I must have been in a hurry when I typed that list. Just added a few more. I also left “nuts” off of the list. Legumes (ie. beans, pulses, peas, peanuts) are very good sources of prebiotic fiber. Thanks for pointing that out to me. I just wondering what do you put in a bowel of oat meal? I usually to Kefir, cinnamon, chia seeds, some nuts, and berries. What does yours look like? Funny you should ask. I’m eating a bowl of oatmeal right now! I start by boiling the water, then put in 1/4 cup of steel-cut oats and 1/4 cup of oat bran. I stir these into the boiling water and take it off the heat very quickly (so it doesn’t boil over) and cover with a lid. I let the oats sit for about 20 minutes in the hot water. Today I stirred in a big spoonful of honey, a spoonful of cocoa powder, and a handful of blueberries. Sometimes I’ll just put banana slices in it. Sometimes just berries, cinnamon, etc.. Just whatever, really. I’m not a fan of adding butter or milk. Kefir is good, but I rarely have any at home. I would imagine that adding Kefir to boiling hot oat meal would kill off the bacteria that you get during the fermentation process. Or do you let the porridge get cold first? That was a really nice post, Tim, clear and concise. But what about the pectin rich foods, any reason why they’re not on the list? Apples, pears and (ahem) plums/prunes count as good sources of prebiotic fibre, too, don’t they? Well, yeah, them, too. When I wrote that list, I was assuming people were eating lots of fruit and veggies, so I just wanted to highlight some heavy-hitters in fiber. I shall re-word it a bit. That’s why I wanted to try some of these parts on you guys, I knew you’d help me get it right! I like the post too! It’s probably not good for your book, but have you noticed that there are lots of studies showing a particular sinful diet causes some terrible disease, but eating fiber with the sinful diet eliminates the disease? That said, I feel like your list is a little staid. Sorry, I mean that respectfully. C’mon, where are mushrooms? All different types, although I really like maitake. And Brussels Sprouts, and kale, and broccoli, and fennel, and jicama? And for dessert’s sake, how about dried figs and apricots? Give me a dried Turkish fig any day over a sugary dessert! And spices! Those are prebiotic too. Black pepper. Cumin. Turmeric. More. And polyphenols. This is a huge class. Green tea. Red Wine. Unfiltered beer (not Bud). Even aged bourbons and scotches. Chile peppers. But, yeah…next book! 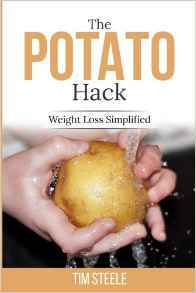 The Gut Hack. You know I have congruent ideas as you in general. I wondered if a few added phrases here and there regarding some of the following might “sure” up the information just a bit for readers, especially those in the health care field who are novices to nutrition/probiotics/prebiotics, but used to scientifically supported material. For your book, a reader might want to know why you only support Elixa? Why did that one only make the cut? What makes it special? And do you have any research to support the idea? Why is it a waste of time to take other probiotics? (Because your readers will have heard that probiotics are great.) What about all those studies on different probiotics in specific disease states (eczema, inflammatory bowel, etc.)? Why are the food forms you mention better than the boxed probiotics? And why should I be getting my prebiotics from real food? Should the following have a source to be most solid? Don’t you have something else to do, Terri? Good call on all of the above! There may be reasons to reconsider the advice to take probiotics in connection with antibiotics. An Israeli study showed that the group taking probiotics didn’t recover their microbiome after antibiotics, whereas the placebo group did. The hypothesis as to why is that the antibiotics disturb the microbiome, allowing the probiotics to take over too much. It’s a very interesting study, and it got lots of coverage in science press. I saw that article when it first came out and talked about it with several people. It did not convince any of us enough to recommend taking probiotics along with antibiotics. I think this small study missed some key pieces, namely diet, probiotic strains, and delivery methods. No doubt the study has weaknesses, it certainly wasn’t comprehensive. But what better studies are there showing positive results on microbiome with probiotics after antibiotics? I can’t seem to find much, only studies that probiotics relieve diarrhea. Therefore, I would wait 2-3 weeks after finishing antibiotics, to let the microbiota recover, and then get some Elixa. Speaking of Elixa, you do well to recommend it. 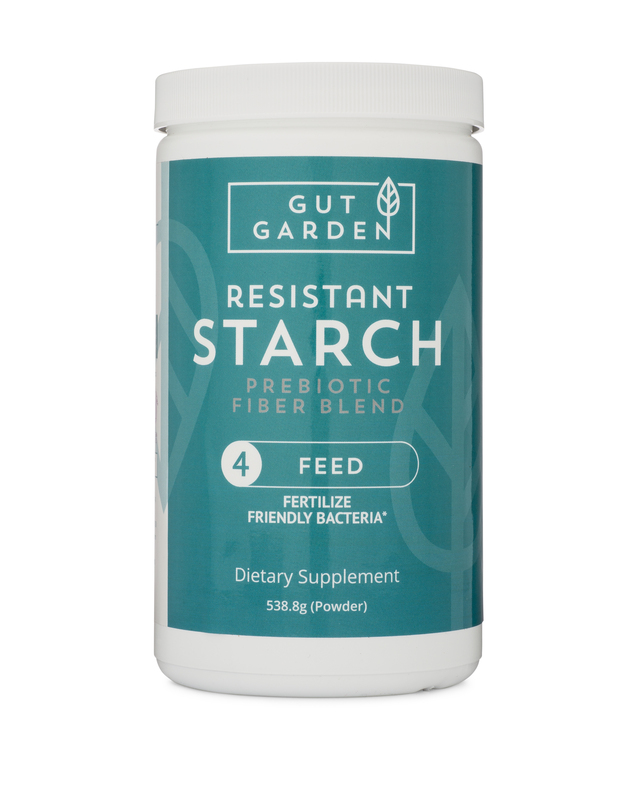 I have tried many probiotics, and never once have I noticed even the slightest effect. Except with Elixa, where the effects are profound, almost scary strong. Tough call. Only a certain percentage of people get diarrhea with antibiotics, so perhaps probiotics not needed at all. Once you get diarrhea, it may be too late for the probiotics to do much good. I’ve seen many studies that show gut flora is “disturbed” even years after taking antibiotics. Still many unknowns in this area. I won’t pretend to have it all figured out. I’ve used Elixa a few times and I got really constipated each time! The first time accompanied by strong flu-like symptoms(that was before they put up mentions of those) so I was convinced I was coming down with something. Tried a special yogurt aimed at gut health last year-same result. Odd?